Stop by Brady’s and wish Gal good luck before he moves away. 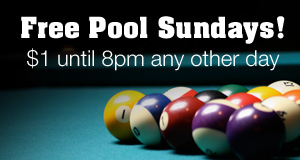 $1 off all draft beer and $1 pool from 8 until 10! !